The benefits of sharing your life with a pet are well known amongst pet owners and numerous studies have shown that keeping a pet has health and happiness boosting advantages. The simple act of having to get up in the morning to prepare your animal’s food; having to get outdoors to walk the dog; the work involved in mucking out a horse’s stable and exercising it; all of these things give us a reason to be busy, to move around and stay active. Every aspect of caring for your animal involves thinking, planning, doing and most importantly, enjoying the love and companionship we get from our animals. This is probably why pet owners are generally amongst the happiest and healthiest, and make fewer visits to the doctor. 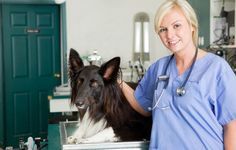 In return for the benefits that owning a pet brings us it is up to us to make sure our animal friends are healthy and well and to do this you may not be surprised to learn that they need many of the same things we need. Here is our guide to keeping your pet healthy and happy. Agility plays an essential part in keeping fit for both pet and owner. Exercise helps the mind as well as the body, helping your animal to stay alert and prevent boredom. Cats, like small children, love to play with boxes either by themselves or with a companion. Dogs too like an enclosed space to call their own and to sleep in. An enclosed space like a box offers safety and security as well as a play option. Companionship is just as essential to some animals as it is to humans. Herd animals like horses and goats are happier sharing a space with other animals. 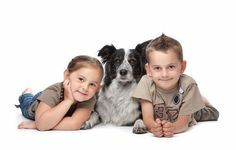 Dogs are pack animals and need the company of their human family or other dogs. Some small pets like rabbits and guinea pigs like to be with others of the same kind. However cats are usually solitary in nature as are Syrian hamsters. A dust bath in the form of fine sand is essential for Chinchillas, Gerbils and Degus to maintain their coats and to exhibit natural behaviour. Education and training is essential for dogs and horses. Dogs especially need to be taught at the very least the basics like sit, stay and down. And the recall is the most important command of all. A dog that understands what the rules and boundaries are is a happy dog and training is a good way for dog and owner to bond. If your pet makes grunting noises, or snorting and wheezing noises, this can indicate difficulty in breathing and is typical in dogs and cats with very flat faces. Abnormalities like this should always be looked at by a vet. The opportunity to hide is essential for pets kept outdoors like rabbits. A hutch with inner hiding spaces will keep him safe from predators. It is now a legal requirement in public spaces for dogs to wear an ID tag on his collar showing details of the owner’s name and address. Protect your dog’s joints in old age by adjusting the exercise he takes, perhaps by taking two shorter walks rather than one long one. Consider adding a supplement like glucosamine, chondroitin or fish oil to his food. 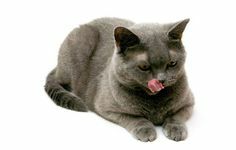 Keeping your pet out of the kitchen is a good idea as the dangers are many fold such as hot hobs and cleaning chemicals. Cats love to climb into washing machines and tumble dryers. Love and affection – obviously! It is a legal requirement for dogs over 8 weeks old to be microchipped for identification should they go missing. Make sure you keep your details up to date. Neutering is essential to prevent unwanted pregnancies. The problem of obesity in pets is growing and can cause untold problems. Prevent this by feeding a good diet and providing regular exercise. It can be difficult to detect pain in your pets. Watch for a change in behaviour or loss of appetite. These are often the first signs of pain and illness. Our pets need a quiet space where they can sleep undisturbed. Rehoming a pet from an animal shelter is the most rewarding thing can you do. The time to say goodbye to a pet is upsetting. Talk to your vet when the time nears and if necessary seek help and support from the family or a bereavement counsellor. Toys, food treats and affection are essential training tools. Learn to read and understand what your pet’s body language is saying and your relationship with them will be transformed. Vaccinations are important for disease prevention. Discuss these with your vet. Walking with your dog keeps you and him healthy and happy. Provide exercise and play opportunities for your other furries too. It helps to know which household items; food and medicine for instance, are toxic for pets. Xylitol is an ingredient found in chewing gum and is poisonous to pets. Every animal must have a yearly vet check to monitor health and weight and to administer worming and vaccination treatments. We all need restful sleep. Allow your pet to catch some Zzzzs when they need it!